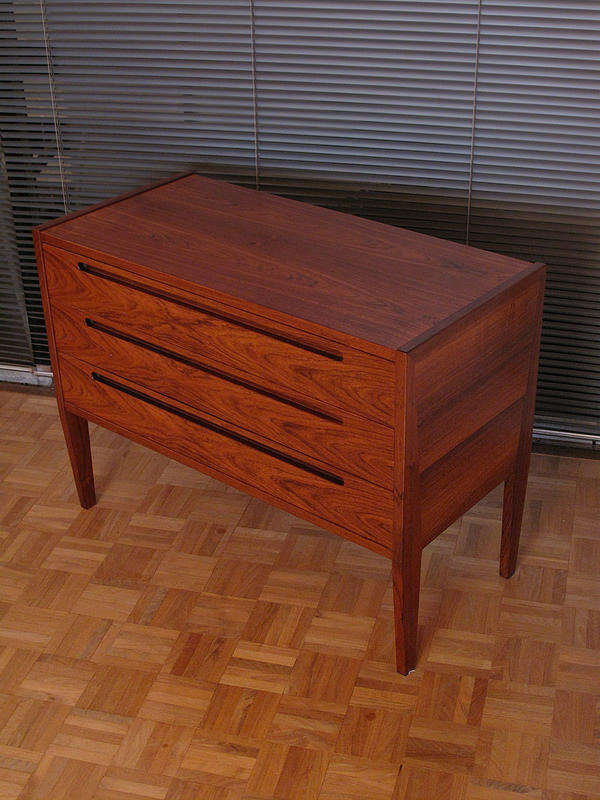 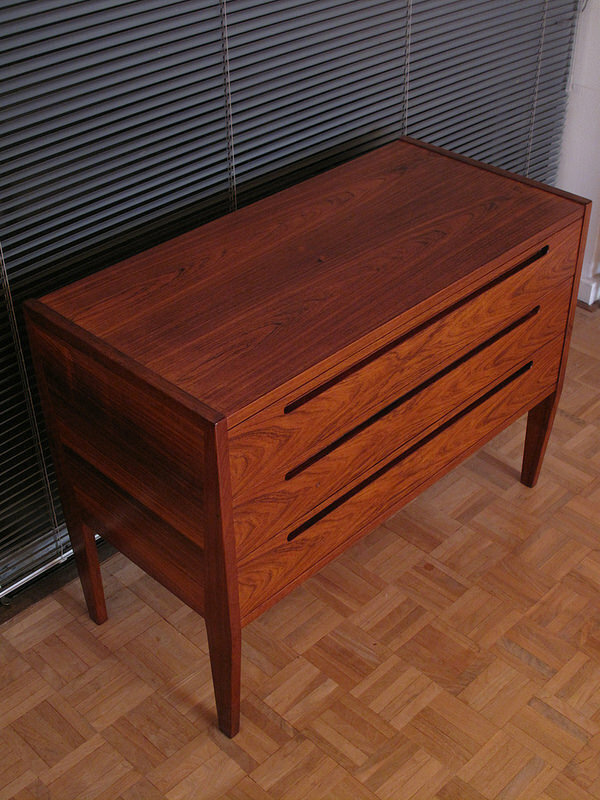 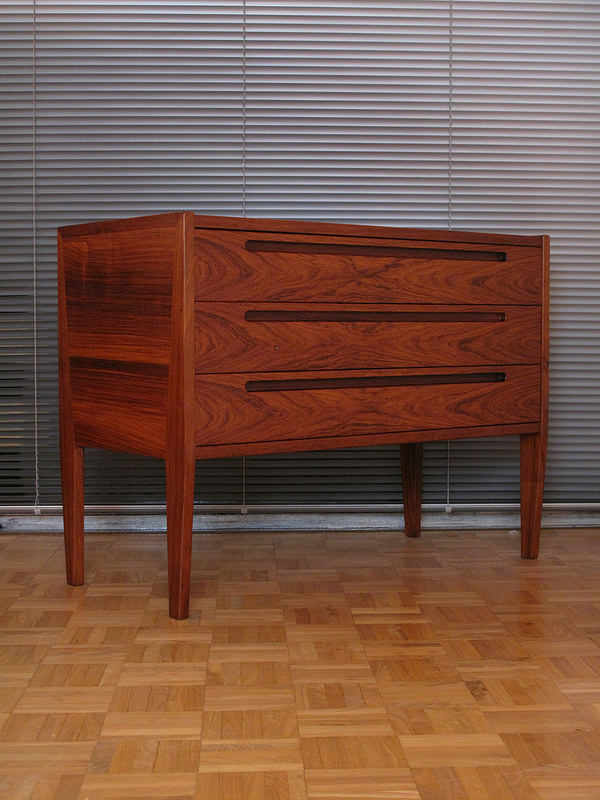 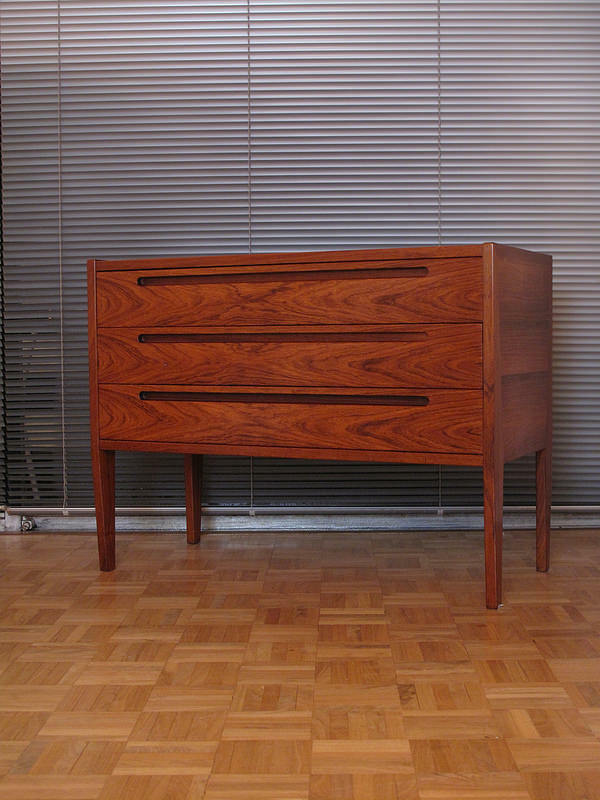 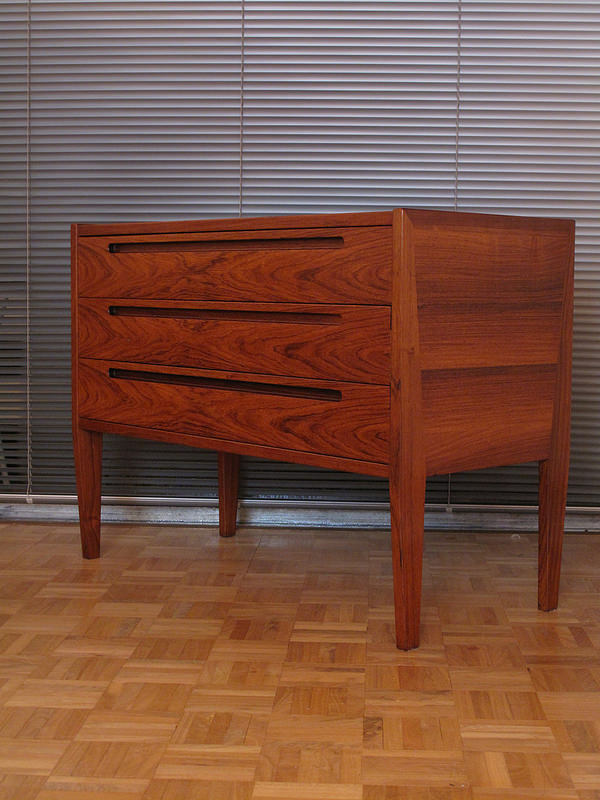 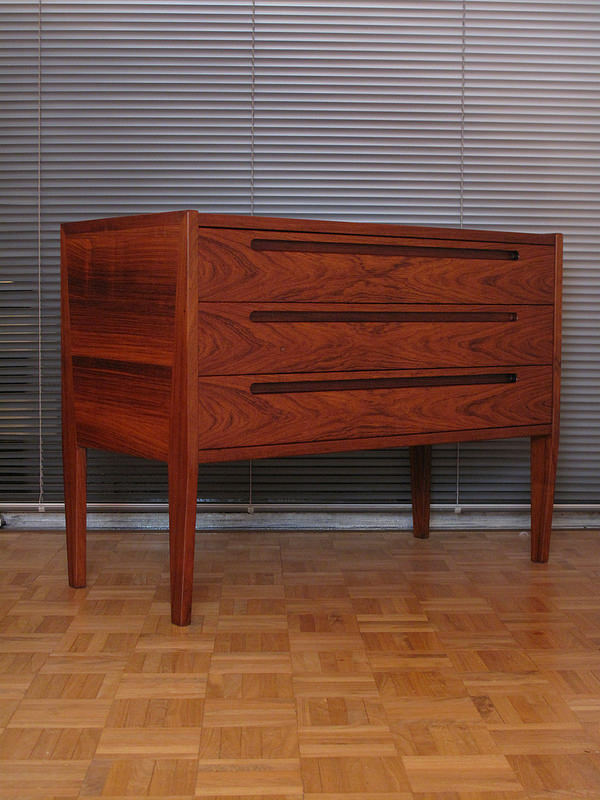 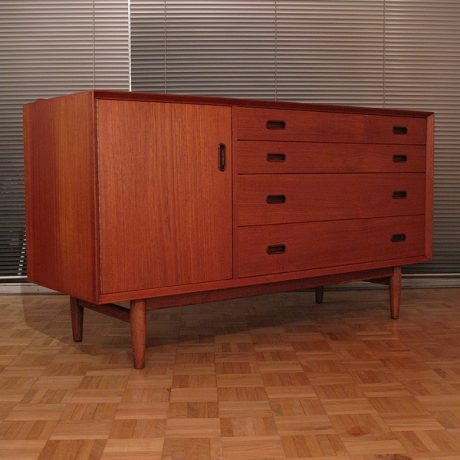 Easily one of the most handsome Mid Century Danish chest of drawers you will find but ironically by an unknown designer although items by this producer are often attributed to Nils Jonsson. 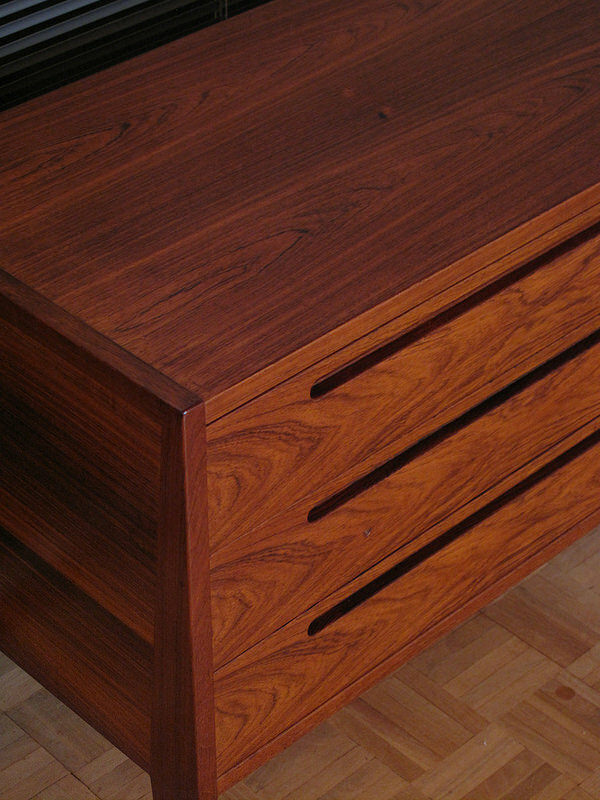 Produced to a very high standard by HJN Mobler these drawer units are very seldom seen. 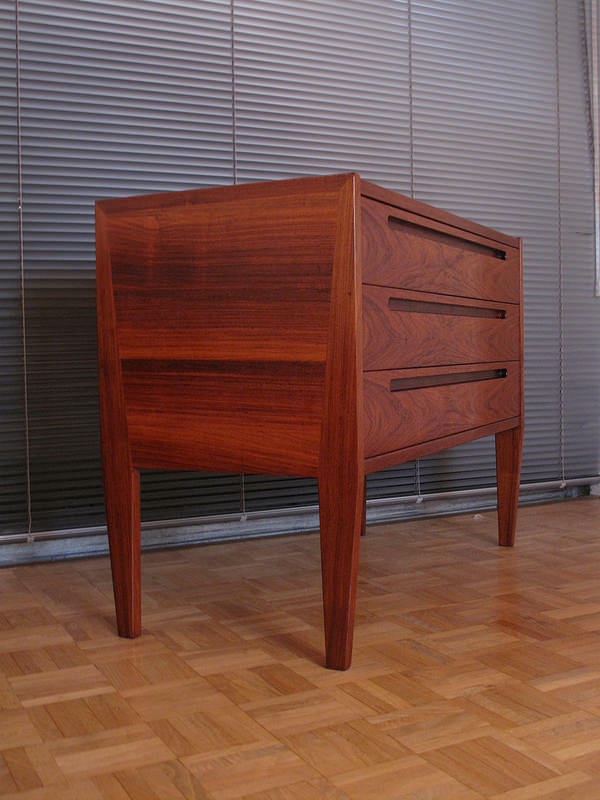 The design features attractive recessed drawer pulls and very distinctive angular legs that are incorporated into the side panels. 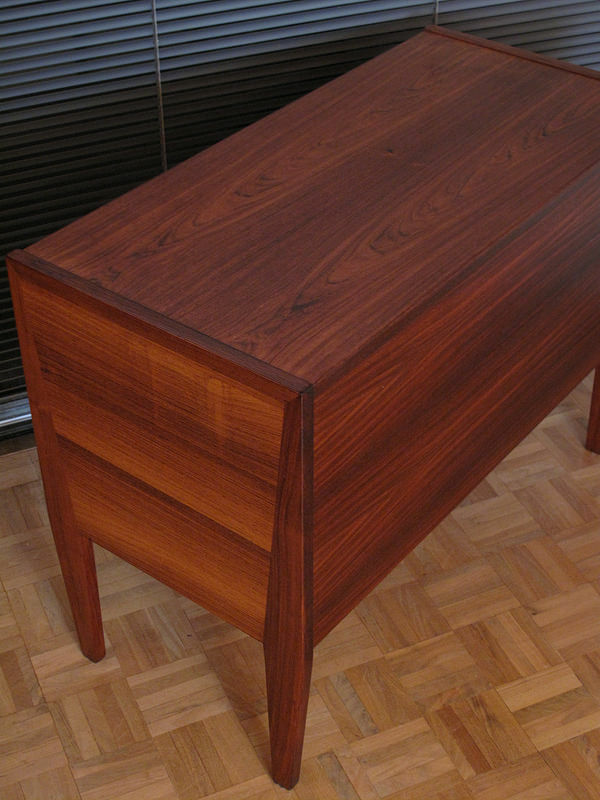 The unusual inward taper of the legs means that it can often be pushed tight against a wall as the legs are not hindered by any skirting board. 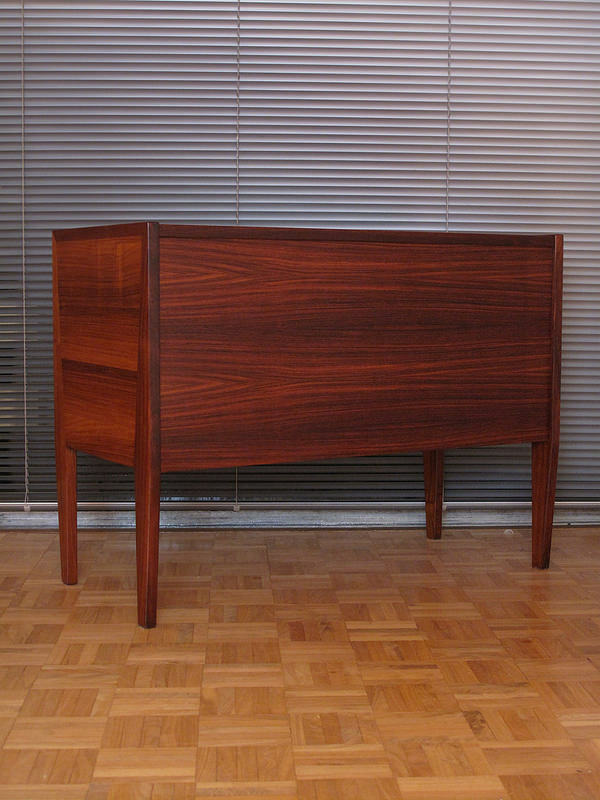 The proportions are quite generous which means it can be used as a small sideboard or TV stand. 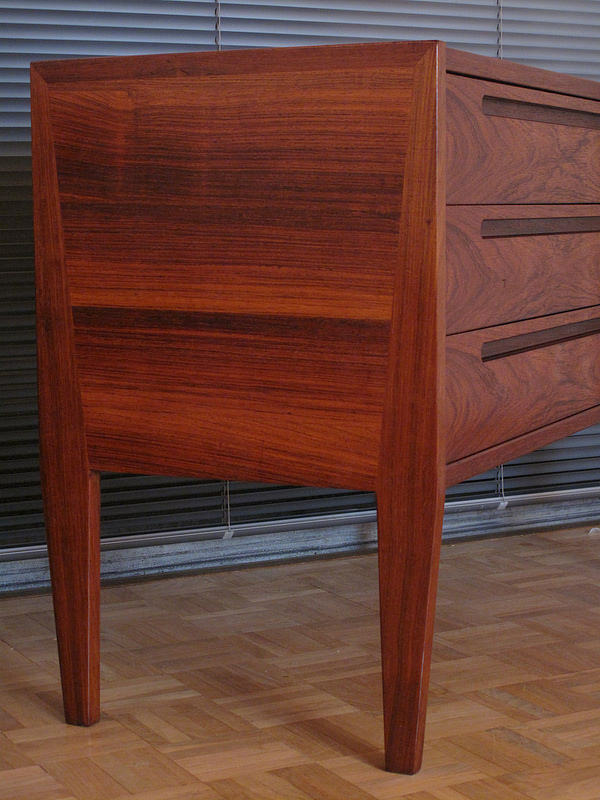 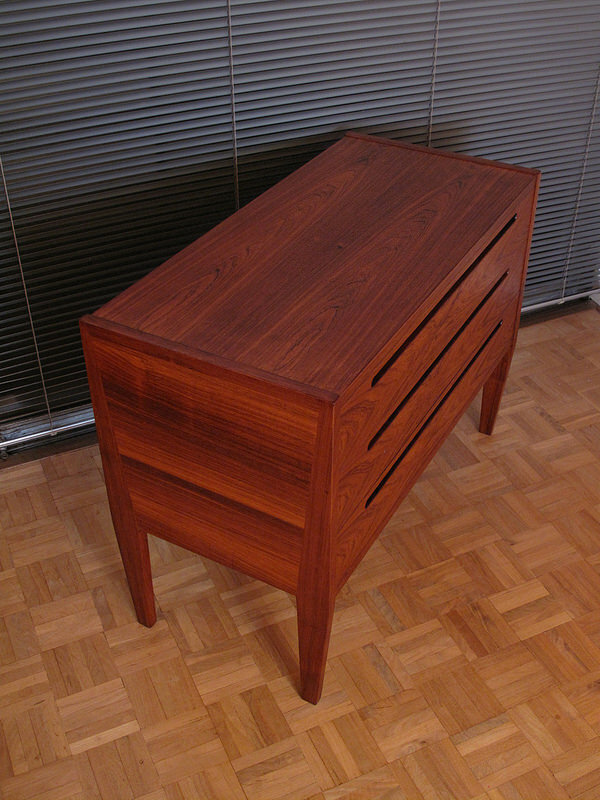 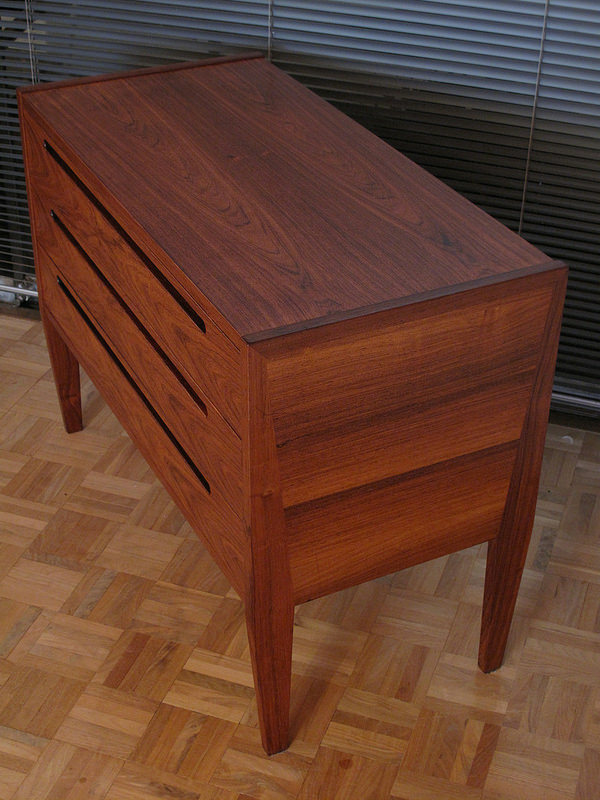 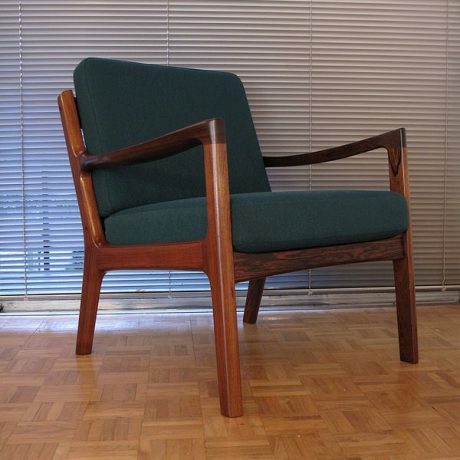 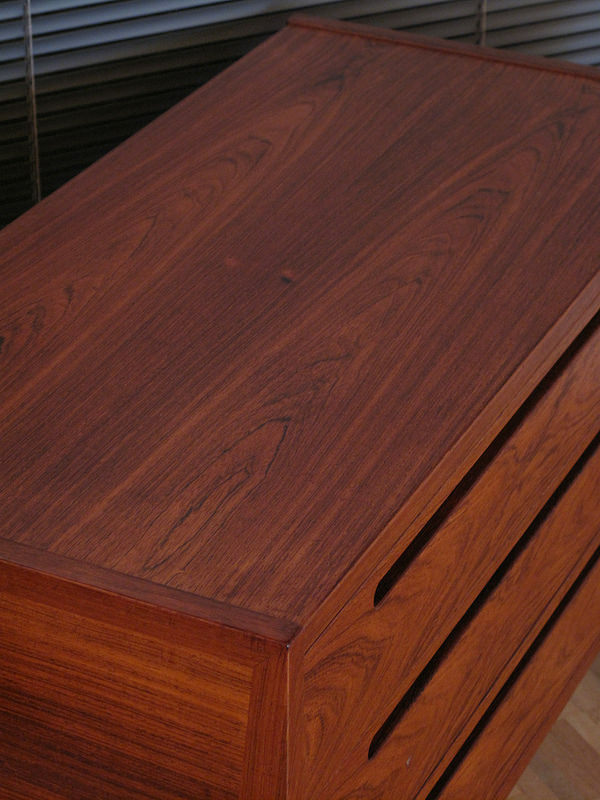 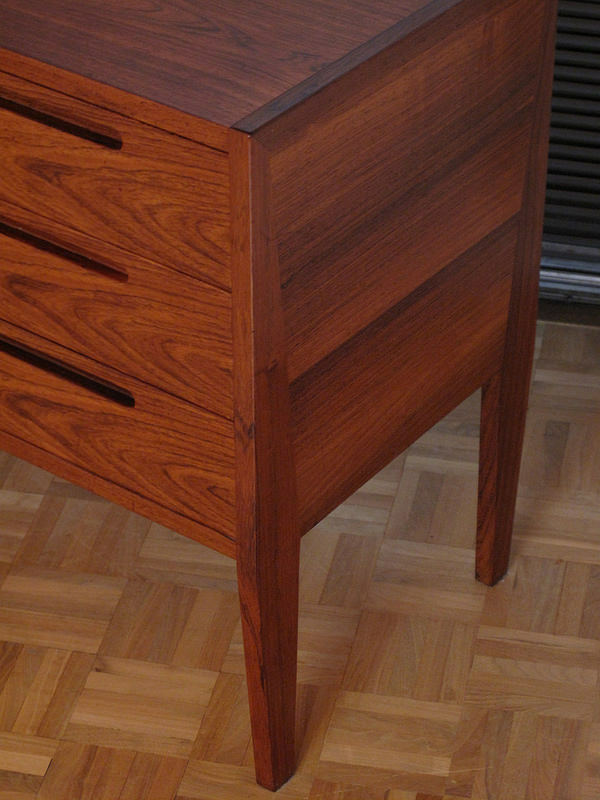 It can also be used freestanding as the back is finished in the most beautiful rosewood veneer.